As a project manager, being aware of the different types of communication medium available to you will help you communicate effectively. A communication medium is simply "how" your message is sent to the receiver. It is often referred to as the communication channel. It's critical to realize that whenever you are communicating with a project stakeholder that the medium you use to communicate your message is just as important as the message itself. If you use the wrong medium, your message may never get through to the receiver or may be misunderstood. Face-to-face communication is any type of verbal or non-verbal communication where you are in the same physical location as the receiver. Face-to-face communication is very powerful. You can communicate verbally with the words you speak as well as non-verbally through body language. It also allows you to get immediate feedback from the receiver so you can adjust how you are delivering your message if necessary. Some examples of face-to-face communication include informal hallway chats, project meetings, annual performance reviews, and job interviews. Two-way remote communication is when you and the receiver are not in the same physical spaces but are able to receive real-time feedback from each other. Although you are able to receive immediate feedback from the receiver, the feedback is usually limited compared to face-to-face communication. Some examples of two-way remote communication include video conferencing, teleconferencing, cell phone calls, sms (i.e. texting) and walkie-talkie conversations. Written communication is any type of communication that involves the written word. This can involve both formal and informal communications. A key distinction between written communication and face-to-face communication is that feedback from the receiver may not be immediate. Although most of us consider ourselves honest and ethical, we're all human and can forget things we've said or misunderstood things we've heard. One of the major benefits of written communication is that it can be used to document what has been said or agreed to. It also can be used to clarify ideas to avoid misunderstandings. Some examples of written communication include letters, email, contracts, sms, reports and intranet content. Social media has become a very common form of communication. It combines characteristics of some of the other forms of communication such as written communication and two-way remote communication. It allows for real-time feedback with a written record of what has been communicated. What makes social media so powerful for project managers is the way it enables team collaboration. Examples of social media communication include instant messaging, Microsoft Sharepoint, Facebook, LinkedIn, wikis and Twitter. Many of the web-based project management tools are also considered to be social media tools since they enable better collaboration. Another type of communication medium is one-way audio and video. With this type of communication you are recording your message to be listened to or viewed by your receiver at some time of their choosing. Examples include voicemail, podcasts and YouTube videos. Podcasts and videos are excellent for sharing information, especially for teaching purposes. You can present a lot of information that the receiver can go over at their convenience and as many times as they like. Voicemail is a different creature. You usually leave a voicemail because the receiver wasn't able to take your phone call. It is what I call a "plan B" action. Because of this, a strategic communicator will have planned what he will say in the voicemail before making the call. Strategically choosing the specific types of communication medium you use to get your messages across will help you successfully manage your projects. Always consider the purpose of your communication, the receiver of the message, and the type of information you are communicating when determining the best business communication media for your message. 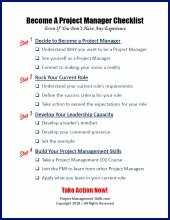 Effective communication skills are the foundation of a project manager's success. Learn how using four different types of communication can help your project get results.